You only have to go to Twitter, turn on the news and read any feed of your choice to come to the conclusion that the world is in a state of disarray. In recent weeks, we’ve seen world leaders name-calling and threatening, learned of horrible abuses by those in powerful positions and almost daily we hear of a new scandal or situation that takes the world again by storm. In the middle of this I can’t stop thinking about the responsibility that we have when we are a leader. Not just a world leader. The world needs leaders right now. Mentors, parents, coaches, teachers, pastors, executives. We could make a long list of those who lead in some way every single day because leadership touches every facet of our life. If you’re not leading, chances are that you’re being led. And if you are leading, you have a responsibility to those in your care. When abuses of leadership run rampant, it’s a good time to take a breath and think about what a good leader does. When the lines in our culture are making it harder and harder to identify good leaders around us, it’s time to remember what it means to lead with purpose and integrity. It’s time to remind ourselves what those who lead well do. 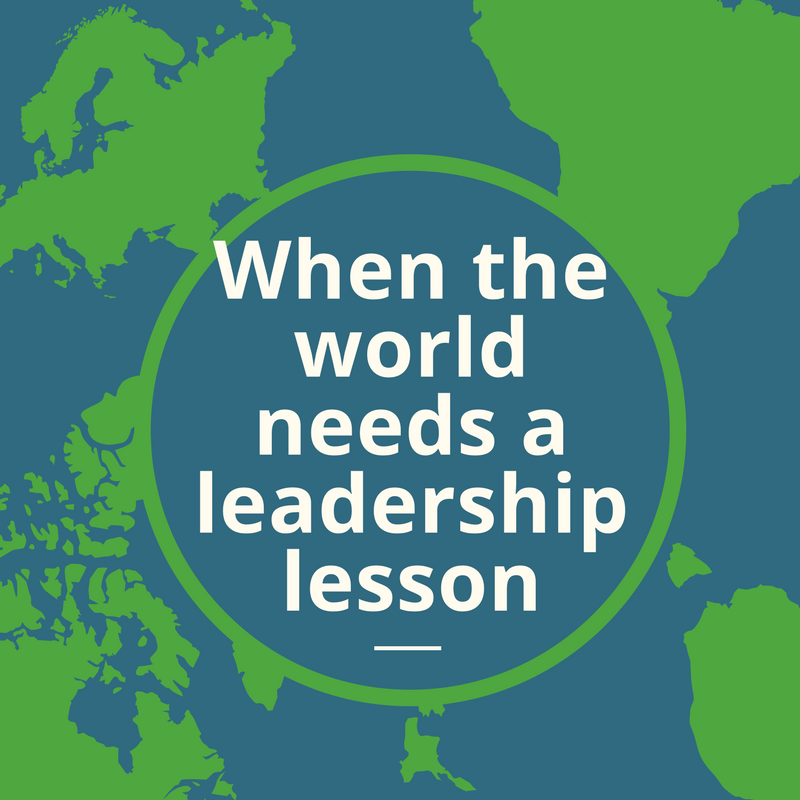 The world needs a leadership lesson. We need to be a leadership movement. Leaders should be more concerned about the people that they lead than about themselves. Leaders don’t wave their own flags, they don’t beg for attention, they don’t ask to be praised and recognized. A strong leader is about those that they lead. They want to see others grow and succeed, always turning the spotlight away from themselves. If you are begging for attention as a leader, you have made yourself the most important part of the equation. Leaders don’t take advantage of people. Strength in leadership doesn’t equal power. A strong leader is one that is followed out of respect and loyalty, not because of position and fear. Your leadership doesn’t give you power, it means you have assumed responsibility. That responsibility needs to be taken seriously. Leaders know that the way they treat people matters. A leader who thinks they can bully, intimidate, manipulate and mistreat others is not a leader. The word for that is abuser and there is no place in true leadership for that kind of behaviour. If you don’t value people, you have no right to lead them. Leaders live without reproach. Leaders know that they have a responsibility in how they act, how they live and what they do. A leader who is constantly covering their tracks, hiding truth, scheming and manipulating situations for their own good and protection doesn’t deserve to lead. You can’t live in the dark, and be a leadership light. Perfection is never possible, but integrity is something that any leader can choose. We work on many things in life. Our health, our careers, goals and future. Let’s also work on our leadership. Wherever you lead, choose to lead well. Our world needs leaders right now.